Jourdan and N. Galvez St. 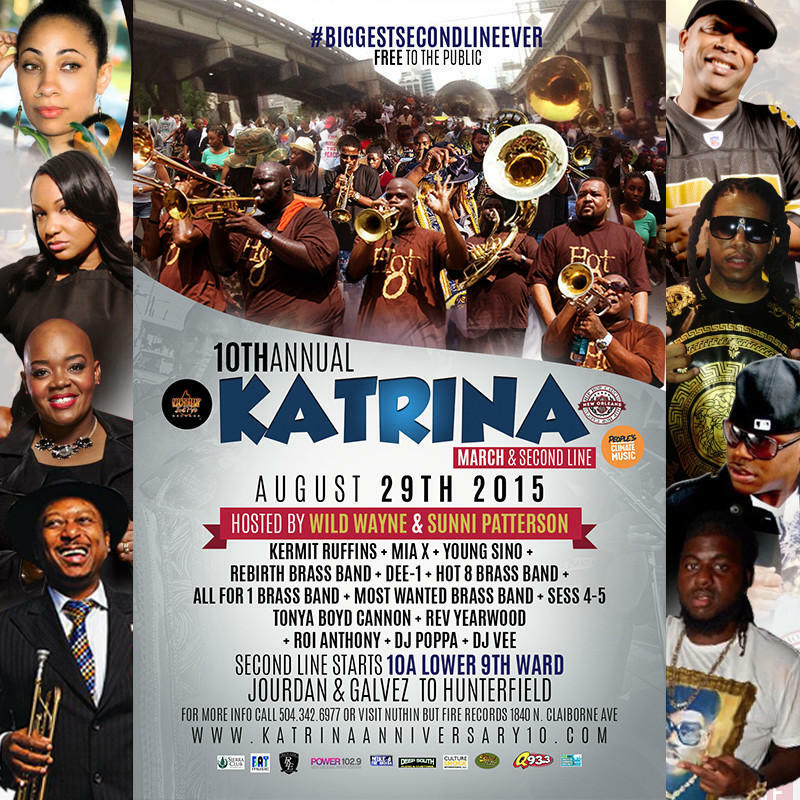 Please grab and share the flyer and link back to www.KatrinaAnniversary10.com. Each and every year since Hurricane Katrina, we have marked the anniversary by organizing a community led commemoration. Annually on August 29th, we start the morning in the Lower 9th Ward, where the levees broke, with a healing ceremony and a reading of the names of those who died. We then march through the streets until a brass band joins us at our half-way point to lead us the rest of the way in the New Orleans' Secondline tradition. We end at Hunter's Field where we hold a rally with speakers and performers. Join us this year for the 10 year anniversary as we remember loved ones we lost, celebrate our resiliency, and advocate for our communities. Right against the backdrop of where the levees broke in the lower 9th Ward, we hold a healing ceremony. Community members gather for a multi-faith prayer and a reading of the names of those who died during Hurricane Katrina. When the healing ceremony concludes we start the march in a solemn spirt. As the march grows in numbers, spirits are lifted. Half-way through the march a brass band joins and we transition from somber to celebratory remembrance and commemoration in true New Orleans fashion. 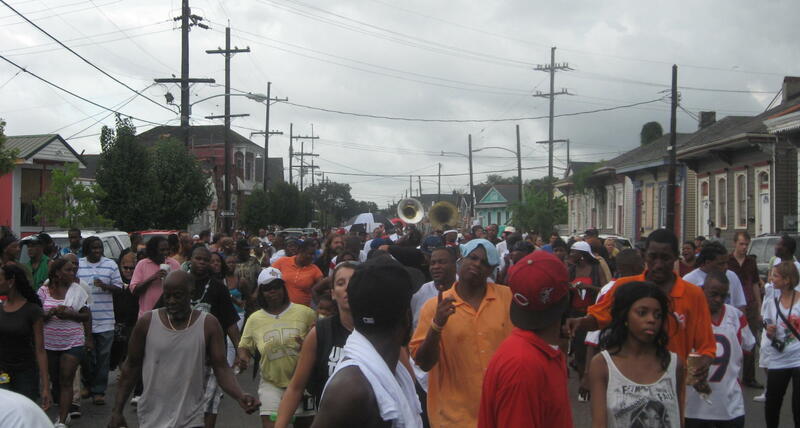 We secondline the rest of the march to Hunter's Field. 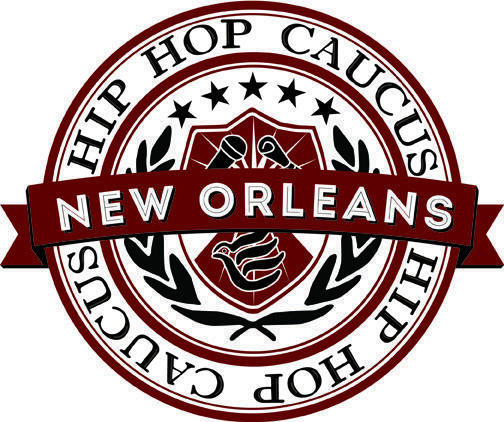 Rally: Hunter's Field @ N Claiborne Ave. & St Bernard Ave. Even more people join at Hunters Field for an afternoon program with speakers and performers, vendors, and community organizations. For the 10 year anniversary we will have some very special guests, and we will be announcing a full line-up very soon. N Galvez St. & Jourdan Ave.
N Claiborne Ave. & St Bernard Ave. If you cannot join us in New Orleans on August 29th, you can still be a part of the commemoration. Pledge your support by commiting to post about the day on your social media, or by getting an organization you are a part of to endorse this day and event, or by donating to this effort. If you have other ideas on how you can support let us know! We will follow up with you according to your selections below.